Home » Story » Astronomy or Astrology? When you are a lover of astronomy, the confusion between astronomy and astrology by those who don’t really understand the differences can get pretty aggravating. And in early civilizations, the two disciplines were not separate. Astrology was just the religious side of the science of astronomy. So what changed? The most significant shift that set in motion the separation of the two lines of thought began in the first century when Ptolemy wrote the very first book on astronomy called the Tetrabiblos. In it, he began to suggest that astronomy should be considered a separate science from astrology. It was quite a revolutionary book because it also was the first scientific document to suggest that the earth was not the center of the universe and that astronomy should be focused strictly on the observation and recording of events in the cosmos. Over the next 2000 years, we have come a long way. Not only has science and religion completely gone their separate ways since Ptolemy but the science of astronomy makes tremendous strides every year that are so phenomenal, Ptolemy would be truly astounded. 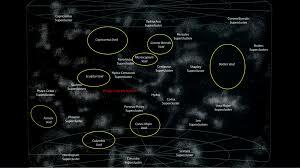 Probably the biggest point of diversion between a student of astrology and astronomy is the belief that the position of the stars has meaning over the events on our lives. Of course, we do know that the weather and tides and other important aspects of our lives are affected by the stars, planets and heavenly bodies, particularly the moon. But these things are happening because of completely explainable scientific laws in motion, not because of mystical forces at work. 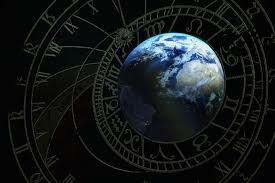 What can we, as devotees of astronomy conclude about the close relationship between astrology and astronomy? Well, for sure we want to be able to explain to anyone who is confused by the similarity in the words what the differences are. We do not want to see the two approaches to the stars and planets to become confused again. But we should do all we can do keep that distinction clear without becoming skeptical or demeaning towards those who may still hold to the teachings of astrology. It is important to remember that what is part of a person’s religious life has a level of sacred belief to the one holding it. And it is not respectful to scoff at such things. If for no other reason than out of respect for the ancient origins of astronomy, we should give courtesy who still are exploring whether astrology has any validity for them. If we can treat each discipline with respect but maintain the separation that must exist between astrology and astronomy, there is no reason both approaches to our admiration of the galaxies cannot coexist in peace and harmony. And for our purposes as astronomers, that harmony will allow us plenty of freedom to enjoy our quest for knowledge for many more centuries to come. And who knows, you might still like to read the horoscope on Sunday morning every so often. 0 Response to "Astronomy or Astrology?"